I’ve been hunting down for software these past months. Software that could help me build links to websites like to my blog. 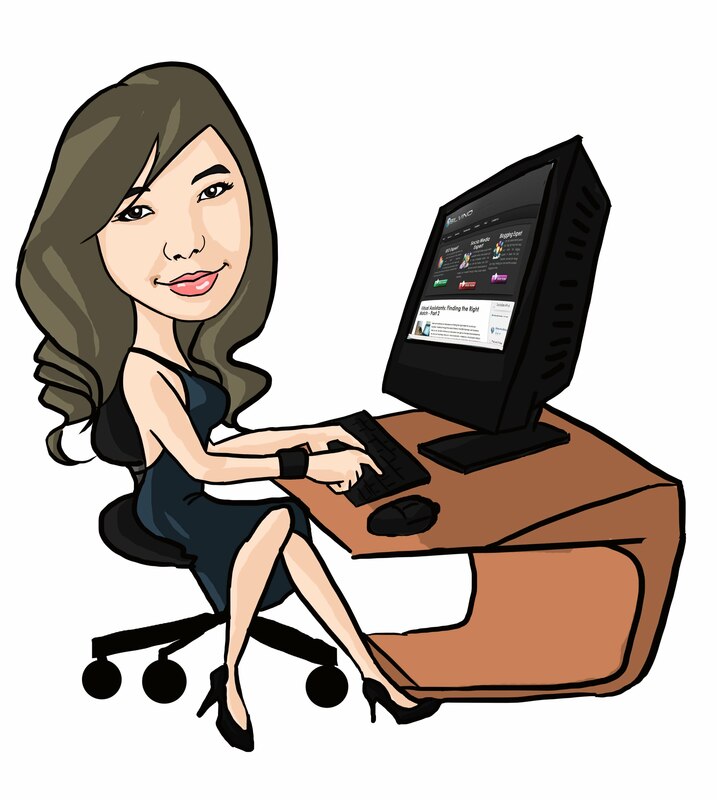 I’ve got clients, I’ve got my 2 blogs (going 3) and I’ve got my SEO service website. So I really really need help. I don’t want to hire someone because it might just give me a low quality service and I deliver the quality ones. There’re also methods that I use that the other SEOs might not understand or doesn’t apply. I’ve got few funds and need software really bad due to large tasks that I must do. So I accidentally met SICK SUBMITTER. The logo looks like a smiley that it’s sick and got curious to what it can offer. 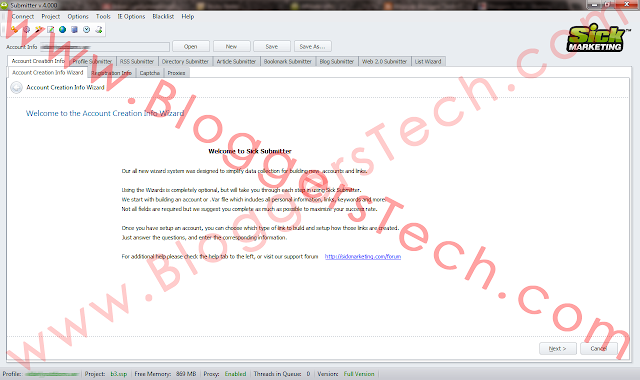 Sick Submitter is very much AFFORDABLE, as a software itself. Compared to other software these days like SEnuke that cost 140+ PER MONTH, or to the latest software from EdwinSoft the Ultimate Daemon for $47 per month, Sick is JUST $19.99 per month. They also have the yearly price too and Sick Submitter is way much cheaper. I only get to use Sick Submitter in one month and I don’t have a plan anymore in continuing. Maybe someday but as of now I’ll try other software since I really need to finish and build more links. So please be aware that this is only basing for my one month use. Sadly, Sick Submitter is currently on updates since they’re trying to improve their software which is a good sign. They have the latest the Sick Submitter 4 which I’ve actually tried. So I think I’m on the wrong timing to buy this and try to learn the software, there’s too many updates needed, too many errors that I have encountered due to the updates. Not just to the software but to the templates too. As for me, I hate complicated stuff. I forgot what software it was I was able to use for few weeks that you must click next, next, next, next, next….. before you really get to do what you need to do! Come on! All I want to do is bookmark! Sick Submitter (as for me) has the SIMPLIEST AND EASIEST user interface. When we say user interface it’s the look of the program that the user see. Below is the screenshot of the Sick Submitter 4, baby! When you install the software they have included some TEMPLATES and PACKETS. A Packet is a list of sites coded in the .sic language for automation. So you need these packets to have more websites to register, create, submit and build links too. They have included this with their software but the websites are just few and you need to add more for more link building resources. In the forum, they have FREE PACKETS available but of course they’re not obliged to give you an update on any list and most of the websites are not high PR websites or no PR at all. You could also add your website or list of websites on these packets using the Sick Submitter software, which is totally a plus. The only difference with the template and the packet is that, the template does not have a list of websites but then again you can add a list of websites. These templates and packets have codes. They are coded by the sick team or the sick users who are well experienced in programming. I can understand some of the codes and understand the whole logic behind it but I bought the software not to code and test my programming skill, but to submit and create links. You could make use of the free templates and packets, and you could also buy these through the forum (I’m not sure if you could buy or offered outside). Now, these templates and not packets does not mean that you’ve got all the access to any website platform or any websites. Each template are for one platform only, like for submitting bookmarks to pligg bookmarking websites only or to phpdug websites. So yes, other than $19.99 a month for using the Sick Submitter software, if you want quality websites and high success rate in creating links better buy these templates and packets. So it’s not just $19.99 but you also get to pay other needed to buy some other stuff. Usually, it cost around $20 and it’s loaded with websites already. Not thousands though, but usually less than a thousand. Some offers a lifetime update with the price, that is included with the packet and template code updates and improvements (like making it have more success rate) and of course more added website resources. Some offers a package. Like a list of templates and packets for Sick Submitter that are for different website platforms and types like for social bookmarking, directory submission, article submission, etc. I found someone who offers this and he’s very update, he also offers tutorials and other stuff but of course it comes with a price. He’s offering this for around $200 but that is for a lifetime, you can also go for a monthly fee but there’s a sign up price of $90+ and then with succeeding monthly fee of around $8 (I think). This actually depends on the packet that you’re using and how it is coded by the template or packet coder. Again, what I am going to say here is basing on the month experienced I have with the software and they’ve been giving a lot of updates and changes and that means the templates and packets I have may get errors, malfunctions and unexpected result. You can use your DeathbyCaptcha, bypass, Captcha Snipper, Beat Captcha and decaptcher accounts for solving catpcha. What’s great is that, the latest version, the Sick Submitter 4 have a FREE captcha solving. You can use all of these by making any of the accounts you have arranged according to priority. You can tell the Sick Submitter software to solve the captcha using the free captcha of Sick, if it does not work then it can use the DeathByCaptcha, else if it fails it then can use the beat captcha account. You could also enter your Best Spinner and Spinner Chief account, which I totally don’t get the logic why it is there. Since I put all my entries in spyntax, maybe it’s there for the final spin? There’s also a list of proxy with the software, you could also the speed then remove the slow and failed proxies. You could also harvest proxies and add your own list of proxies. As for the profiles, you must create your own email and there are also packets available for Sick that could create a Hotmail and Gmail account for you. The profile details can also be auto generated by Sick Submitter. The team behind Sick Submitter is really awesome, that I can honestly tell you. They seem to be online 24/7 and when I post some questions, inquiries, help or some reports on errors they answer it within 24 hours. Of course, there’s another support needed, and that is from the support of the templates and packets you BOUGHT (not applicable for FREE packets and templates). Some have a great support and constantly update you with the latest version. Some, well they do reply from your problems but they sound like they’re not that willing to help. So this is actually one of the things that disappoint me. If you’re planning to buy and avail Sick Submitter, please be aware of the expenses that you’ll encounter. You don’t see the amount needed unless you total the overall expenses. Also, Sick Submitter needs some more improvement especially to the template and coders. Some people say don’t buy this unless you have a programming knowledge, but as for me it’s not necessary but it would be more helpful for you if you do. 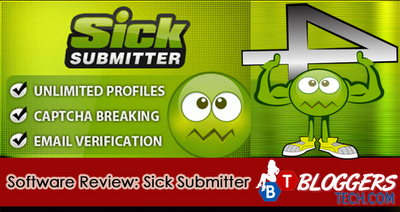 Sick Submitter software creator is aiming for more features, updates and more killer service but it will take time. I want to be a part in helping them in their success but as of now with my busy schedule, I’ll try and have some other software. As of now, I’ll give Sick Submitter 3 stars out of 5 stars. Why? It’s good, yes! But it needs more improvement. Also, you have to look for a quality template and packets, that is quiet expensive for me. If you decide to try it yourself, feel free to use the link and/or banners on this post.